Extreame Savings Item! 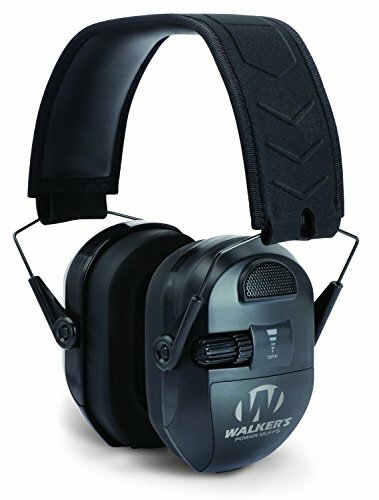 Save 47% on the Walker's Ultimate Power Muff, Black by Walker's Game Ear at SFCPA. MPN: GWP-XPMB. Hurry! Limited time offer. Offer valid only while supplies last. Walker's Game Ear, the shooting and hunting industry pioneer in hearing protection, introduces the Ultimate Power Muff with 5x hearing enhancement. Walker's Game Ear, the shooting and hunting industry pioneer in hearing protection, introduces the Ultimate Power Muff with 5x hearing enhancement. The Ultimate Power Muff has two Hi Gain Omni directional microphones that enhance sound detection. They are frequency tuned for natural sound clarity. The recessed volume AFT (Adjustable Frequency Tuning) control knobs allow the user to tune the muff to the frequency position that best matches the user's hearing. The independent volume control permits the hunter the ability to dial each side of the muff to a comfortable sound level for each ear. The Ultimate Power Muff's sound activated compression circuit has a reaction time of 0.02 seconds and through the use of new sound dampening composite material it features an unmatched noise reduction rating of 27dB. The Ultimate Power Muff has a folding compact design, low profile ear cups and incorporates a comfortable headband with a metal frame for increased durability. The sound dampening composite housing aids in the protection against harsh noises that can damage hearing. The Ultimate Power Muff is available in black and operates on two included "AAA" batteries.